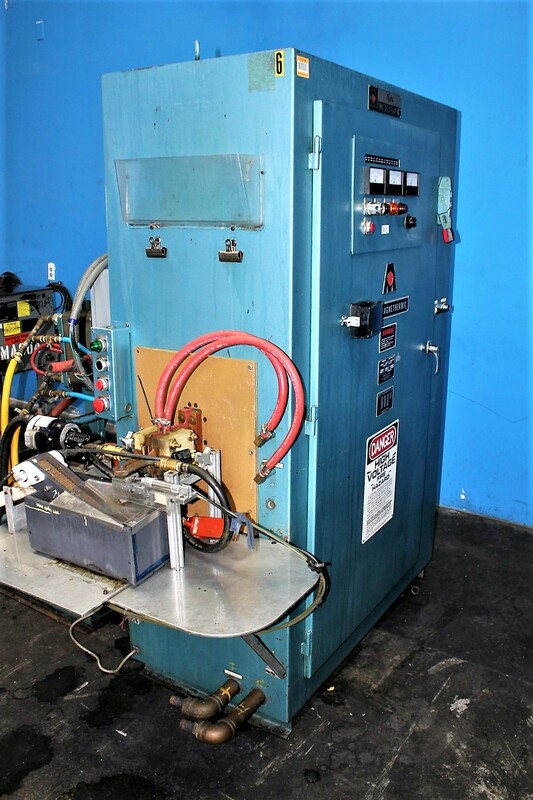 Ajax Pachydyne 25kW, 3/10 kHz pin annealing/hardening system. 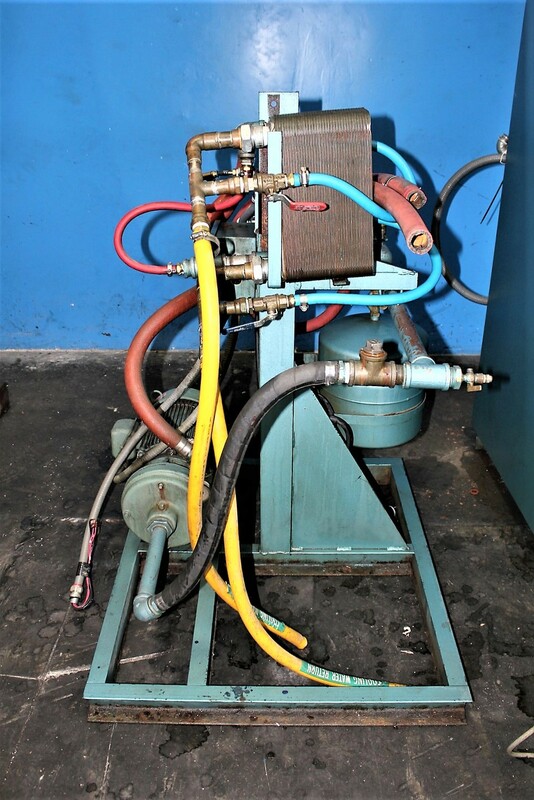 This is a small automatic system for Induction Heat Treating small pins. 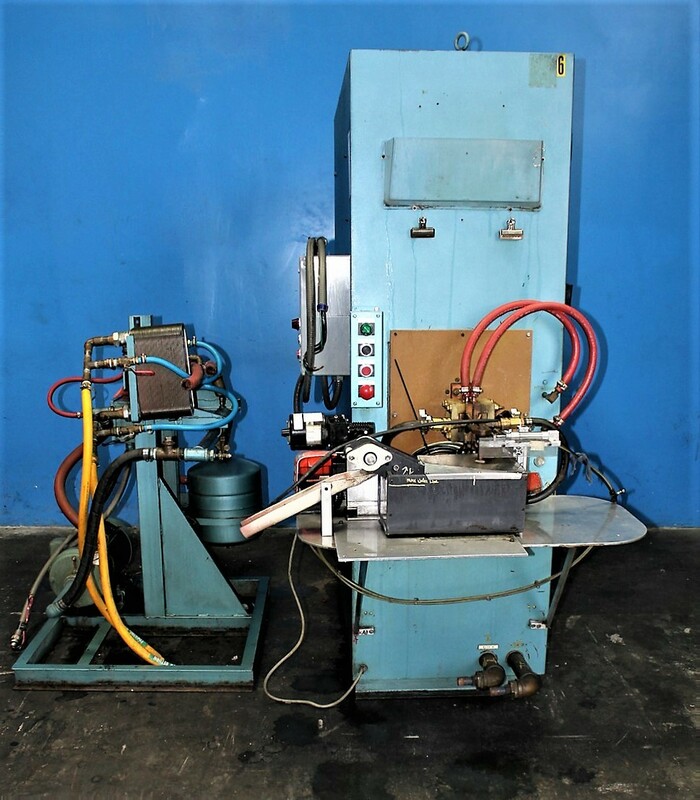 Includes a power supply with matching heat station and a small fixture for heating and drop quenching small diameter parts. 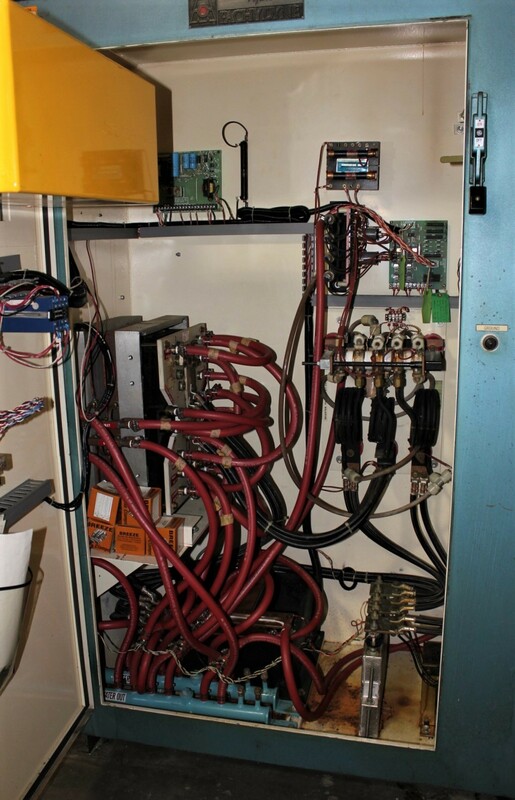 Also includes a small conveyor to drag out the parts from the quench container and water to water cooling and recirculating system and a quick-change coil bus adapter. Good condition.